Sen. Elizabeth Warren, D-Mass., has called for tripling the national minimum wage, citing reports that had the figure kept pace with the United States’ economic productivity, the country would have a $22 minimum wage for all workers. In his State of the Union address, President Barack Obama called for raising the wage from its current $7.25 to $9. Warren addressed a witness at a hearing of the Senate Committee on Health, Education, Labor and Pensions on Thursday to make her case. "If we started in 1960 and we said that as productivity goes up, that is as workers are producing more, then the minimum wage is going to go up the same. And if that were the case then the minimum wage today would be about $22 an hour," Warren told University of Massachusetts Amherst professor Dr. Arindrajit Dube. "So my question is Mr. Dube, with a minimum wage of $7.25 an hour, what happened to the other $14.75? It sure didn't go to the worker." Dube, who has studied the economic impact of the minimum wage, went on to confirm Warren’s math, stating that the minimum wage would have increased even higher had it followed the vastly inflating profits of the United States’ highest earners. Warren then went on to say that if the minimum wage were raised to $10 an hour over the next three years, price increases for restaurants would be negligible. Warren cited projections which show that price of a McDonald’s "No. 11 meal" would rise only 4 cents from $7.19 to $7.23. Warren’s numbers on a $22 minimum wage come from a 2012 study on the minimum wage from the Center for Economic and Policy Research. The study states that while the United States’ financial productivity has risen greatly over the past 50 years, the minimum wage has stagnated. It’s worth noting that Warren wasn’t exactly arguing that the United States immediately adopt a $22 minimum wage. Instead, she was illustrating that over the years, the country has failed to provide a solid livable wage for workers earning the minimum wage. 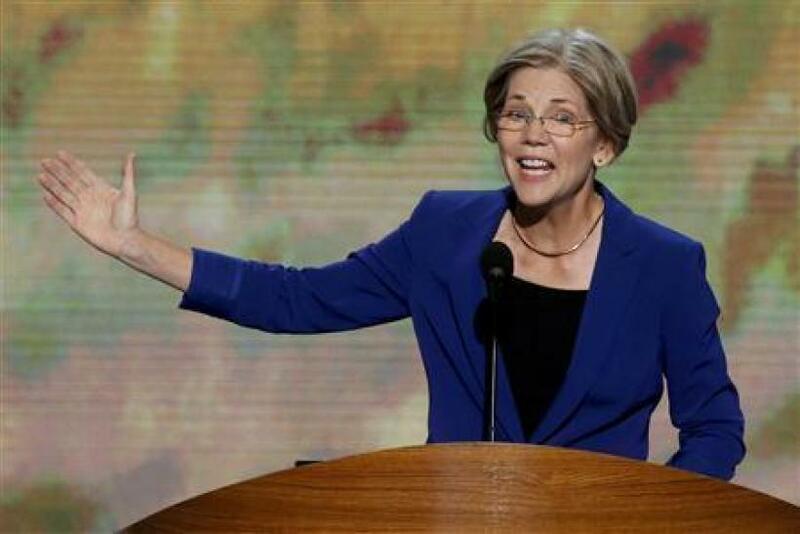 Warren’s comments were in support of Obama’s recent calls for a $9 minimum wage. Watch Warren’s comments on the minimum wage below. Would US Minimum-Wage Hike Lead To Job Losses?